Hello foodie buddies! I hope you had a great Sunday and enjoyed delicious food. Sundays are always special. I have a lot of free time and hence I always make it a point to cook something nice, and kind of comforting. This Sunday I prepared Dal Makhani, and that too dhaba style. I served it with Jeera Rice. That’s how they prefer it at my place. Dal Makhani pairs up excellently with tandoori rotis and naan. You can also choose kulcha or lachchha paratha but I think that would be too heavy, since the dal is so rich already. 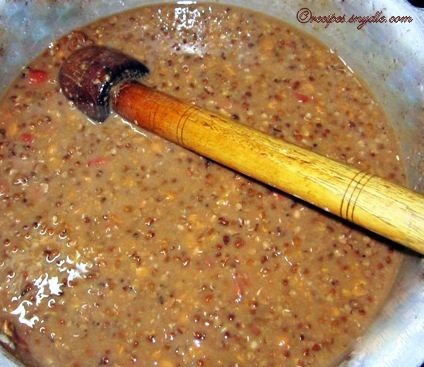 Some people often confuse Maa ki Dal with Dal Makhani. The major difference is the that Maa ki Dal is made from whole black urad dal alone, while Dal Makhani contains rajma too. 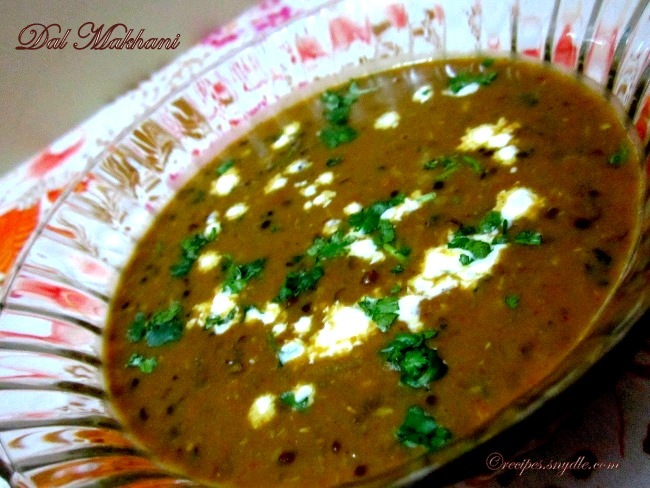 Besides, as the name suggests, Dal Makahni has a mighty dose of butter and cream. Recently, I had Dal Makhani at a Dhaba on my way to Daman. And oh my! I was blown away by the smoky flavor it had. I have used the charcoal to infuse smoky flavors in recipes like Paneer Tikka Masala and Sultani Dal. And using the same technique in Dal Makhani was absolutely a genius idea. So I tried it at home. However, it is completely optional. 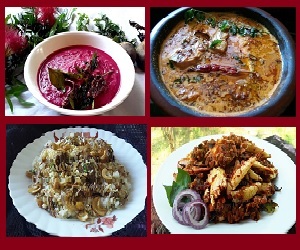 But I am sure you are going to love the dal with smoky flavors more. I have added some chana dal to this recipe so that the entire thing gets emulsified and thickens really well. 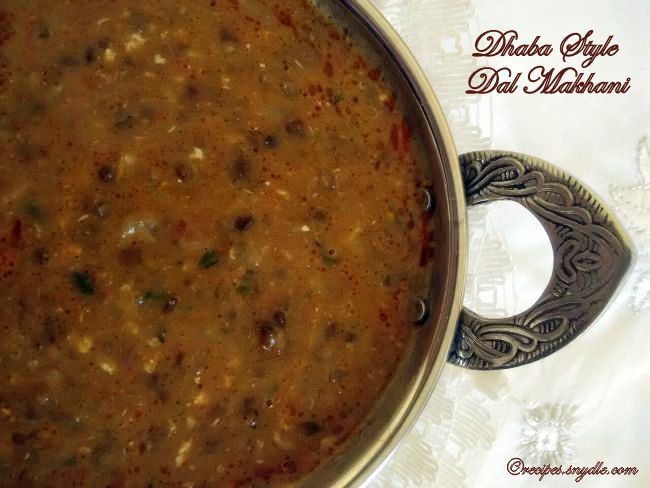 Now let’s get started with the recipe of Dhaba Style Dal Makhani. For the purpose of measurement, 1 cup = 250 ml. This recipe would serve 3 to 4 persons. NOTE – Two large onions would seem a lot. But trust me when I say that when you saute them, they will shrink. If you add any less onions, the dal will turn out bland. Wash and soak together whole urad dal, chana dal and rajma overnight. Pressure cook them with salt, finely crushed ginger and garlic and water for about 10 whistles. The dal and rajma should be soft and crumbly. Mash the dal partially using the wooden masher. Adjust the consistency by adding a cupful of water or more, as shown in the picture. Keep aside. Roast the cumin seeds on a tawa on low heat till it becomes aromatic and changes color. Allow it to cool. Finely crush together the roasted cumin seeds, black peppercorns, cloves, cardamom seeds, ginger, garlic and green chili using a mortar and pestle or grinder. Heat butter and oil in a skillet or a wide pan and add in the onions, bay leaf and cinnamon stick. Saute them till the onions turn golden brown. Add in the ginger-garlic spice mix you just prepared and saute it till it turns aromatic and the raw smell goes away. 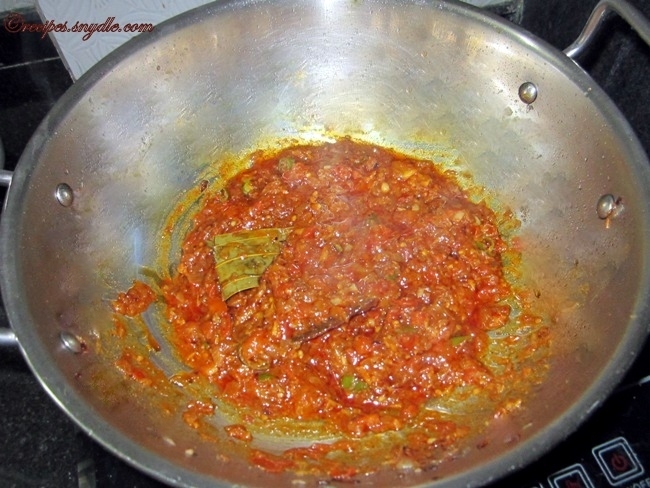 Add in the tomatoes and cook them till they turn mushy and the fat gets separated. Add in the dry spices; turmeric, kashimiri red chili powder, coriander powder and salt. Mix well and cook for a minute. Pour in the boiled dal and mix well. Bring it to boil and allow it to simmer for about 8-10 minutes. Add in the fresh cream and chopped cilantro and turn the flame off. Now it’s time to infuse the smoky. I transferred the dal to a shallow pot. You can do so too if you have cooked the dal in the skillet instead of a shallow pan. Heat the piece of charcoal on the gas flame till it becomes red hot. Transfer it to a small bowl using the pair of tongs. Carefully place the bwl in the center of the pan containing the dal. Pour the oil on the hot charcoal and cover the dal using a lid for a couple of minutes. The smoke emitted from the charcoal will render a very good flavor to the dal. 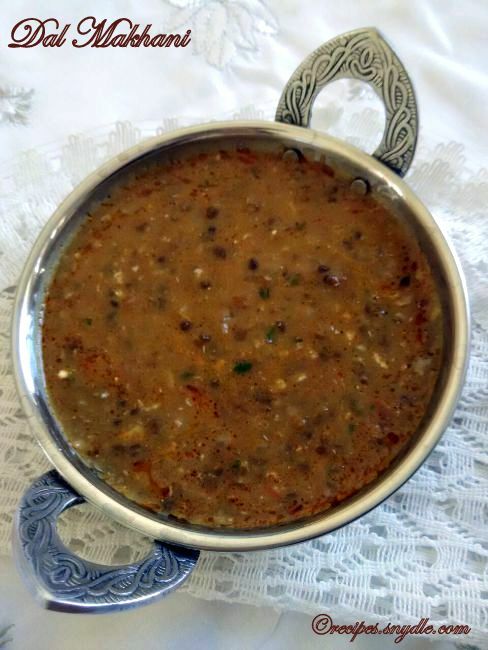 Dal Makhni is ready to be served. Enjoy! Copyright © 2019 Yummy Recipes. Powered by WordPress and Envince.